* 6 Cylinder engine * * Check out this 2018 Chrysler Pacifica Hybrid Limited * * 2018 ** Chrysler * * Pacifica Hybrid * This Gray 2018 Chrysler Pacifica Hybrid Limited might be just the mini van for you. It has a 6 Cylinder engine. The exterior is a dazzling gray. Don't wait on this one. Schedule a test drive today! Contact Information: Bayway Chrysler Dodge Jeep Ram, 4000 Pasadena Highway, Pasadena, TX, 77503, Phone: (713) 433-4000, E-mail: internetleads1660@car-crm.com. * 6 Cylinder engine * * Check out this 2018 Chrysler Pacifica Hybrid Limited * * 2018 ** Chrysler * * Pacifica Hybrid * This White 2018 Chrysler Pacifica Hybrid Limited might be just the mini van for you. It comes with a 6 Cylinder engine. The exterior is a suave white. View this beauty and our entire inventory today! Call for more details. Contact Information: Bayway Chrysler Dodge Jeep Ram, 4000 Pasadena Highway, Pasadena, TX, 77503, Phone: (713) 433-4000, E-mail: internetleads1660@car-crm.com. * 6 Cylinder engine * * Check out this 2018 Chrysler Pacifica Hybrid Limited * * 2018 ** Chrysler * * Pacifica Hybrid * This Red 2018 Chrysler Pacifica Hybrid Limited might be just the mini van for you. It comes with a 6 Cylinder engine. The exterior is a sharp red. View this beauty and our entire inventory today! Call for more details. Contact Information: Bayway Chrysler Dodge Jeep Ram, 4000 Pasadena Highway, Pasadena, TX, 77503, Phone: (713) 433-4000, E-mail: internetleads1660@car-crm.com. 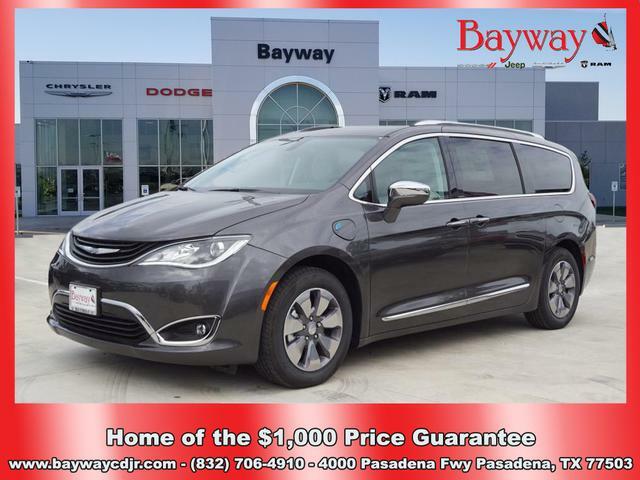 * 6 Cylinder engine * * Check out this 2018 Chrysler Pacifica Hybrid Limited * * 2018 ** Chrysler * * Pacifica Hybrid * This Gray 2018 Chrysler Pacifica Hybrid Limited might be just the mini van for you. It comes with a 6 Cylinder engine. The exterior is a dazzling gray. Interested? Call today and schedule a test drive! Contact Information: Bayway Chrysler Dodge Jeep Ram, 4000 Pasadena Highway, Pasadena, TX, 77503, Phone: (713) 433-4000, E-mail: internetleads1660@car-crm.com. 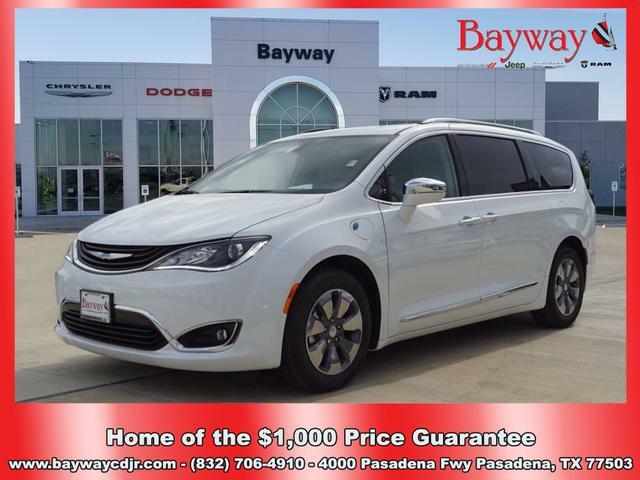 * 6 Cylinder engine * * Check out this 2018 Chrysler Pacifica Hybrid Limited * * 2018 ** Chrysler * * Pacifica Hybrid * This White 2018 Chrysler Pacifica Hybrid Limited might be just the mini van for you. It comes with a 6 Cylinder engine. The exterior is a ravishing white. Interested? Don't let it slip away! Call today for a test drive. Contact Information: Bayway Chrysler Dodge Jeep Ram, 4000 Pasadena Highway, Pasadena, TX, 77503, Phone: (713) 433-4000, E-mail: internetleads1660@car-crm.com. Manufacturer’s and conditional rebates subject to residency restrictions and require valid forms of identification for the military program. *Bayway CDJR is not responsible for errors or omissions as absolute accuracy cannot be guaranteed. Please verify the information with an authorized Sales Manager. Incentives and discounts may vary by vehicle line and are subject to change without notice. Bayway discount may include dealer trade-in assistance and/or CCAP at standard rates. Please verify the information with an authorized Sales Manager. This site and all information appearing herein is presented AS IS without warranty of any kind, either expressed or implied. The listed and described details are to be used for information purposes only. It is the responsibility of the customer to verify the existence of any option or accessories and the vehicle condition before time of sale. There are no express of implied warranties or representations of any type concerning a preowned vehicle, including the availability or condition. Certain vehicles listed may not be available or may have different prices or be equipped with dealer installed options at an additional charge. The cash price does not include fees for license, title, registration, taxes, service contracts, services related to the sale, processing and/or documentation fees, and the prices of accessories. All prices, specifications and availability are subject to change without notice. Qualifications for some available rebates required. Contact Bayway CDJR for the most current information. Vehicles subject to prior sale, pictures are for illustration only and may not represent actual vehicles. 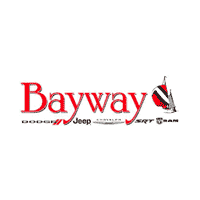 Bayway Chrysler Dodge Jeep Ram	29.7103761, -95.1483381.